Thomas Dennehy, senior prosecutor in Davidson County, Tennessee, tries to piece together a murder before everything he believes about the law, and about justice, is torn apart. Fast-paced action, unexpected twists and a strong, tortured hero: It’s the perfect recipe for a great thriller. Reed Arvin mixes these ingredients to perfection and delivers a legal roller-coaster ride in Blood of Angels … Arvin weaves the strands together with fine skill. The story moves swiftly, and issues are explained succinctly. What if Bol isn’t the perpetrator? And even if the wrong man was executed for the convenience store crime, backing off this case won’t keep the peace. The right answer must be found, or The Nations will explode … Blood of Angels isn’t high literature, nor is it meant to be. It’s simply a good thriller, well-told, one that keeps the attention tuned and the pages turning until the end. And that’s all it needs to be. Blood of Angels has its literary aspirations. But it fits too neatly into the Wish-I-Were-Grisham mold … Blood of Angels also involves a beautiful, crusading minister whose fight against the death penalty eventually leads her to Dennehy's hot tub. The same book incorporates the following: Dennehy's mentor, on the verge of retirement; Dennehy's beloved daughter, a prime target for mayhem; Dennehy's pet cat, ditto; and Dennehy's ex-wife, now married to a rich plastic surgeon who makes Dennehy feel inadequate. It is clear that Arvin knows Nashville with an intimacy that is at once pleasurable and painful. 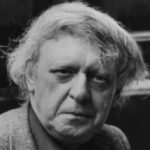 It is a town of quiet, subtle intrigue, of promise and pain, where a kiss on the cheek and a knife to the back both can be delivered with a smile and cordiality unmatched elsewhere. Arvin captures this spirit quite nicely. But his main protagonist is Thomas Dennehy, senior District Attorney for Davidson County. 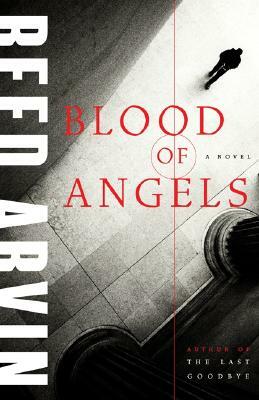 Dennehy's first person, present tense narration provides a knife's edge immediacy for his tale … Blood of Angels has enough intrigue and suspense for three novels, yet it never feels crammed or unduly compressed. Arvin provides what is perhaps the fairest, most balanced discourse on capital punishment I've encountered, while at the same time he populates his story with characters who the reader will honestly care about, and wonder about, when the tale is told. What did you think of Blood of Angels?